200 Mesh Creatine Taurine - thanks to proper can be within a few weeks to achieve 10-20 percent strength increase and gain 3 to 5kg of lean muscle mass. 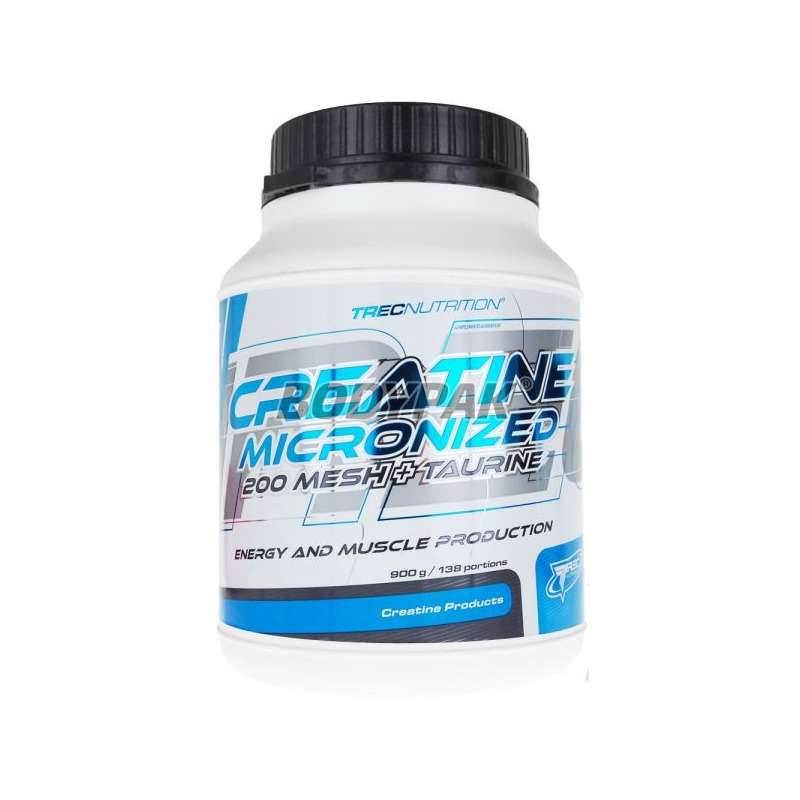 Creatine supplementation increases its concentration in muscles by approx. 50%. This initiates a series of reactions that cause the cells absorb more water (1g of creatine bonds with about 50g of water). Increased volume of the cell causes intracellular tension changes, which your body interprets as an anabolic signal that in turn triggers your muscles growth. The preparation Trec Nutrition has been enriched with taurine, which stimulates the body and is involved in energy production. Taurine is an amino acid essential in the metabolism of protein. The body produces small amounts of taurine. Taurine, glutamine as nitrogen accumulates in the body, reduces the rate of protein breakdown - exhibits anti-catabolic effect, demonstrates an insulin-like effects on carbohydrate metabolism - reduces the blood sugar level. In order to achieve permanent results, combine creatine in one cycle with nutritional products containing: protein, carbohydrate - protein, glutamine, HMB or amino acids. 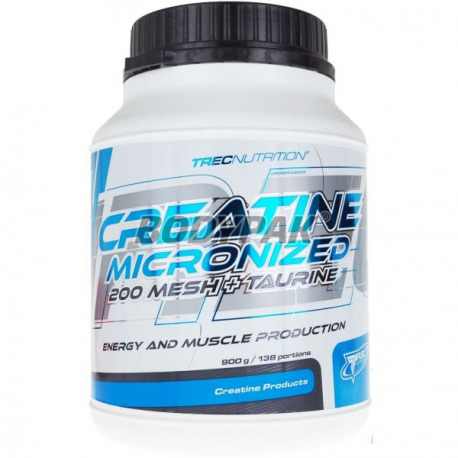 Creatine Micronized 200 mesh Trec Nutrition is manufactured by the largest creatine producer in the world, an American laboratory Ferro Pfanstiehl. Creatine is characterized by the highest purity and absorption so that is certified pharmaceutical quality. Zdecydowanie taniej wyjdzie kupić zwykłe mono i osobno tauryne, za tą cene - nie polecam!